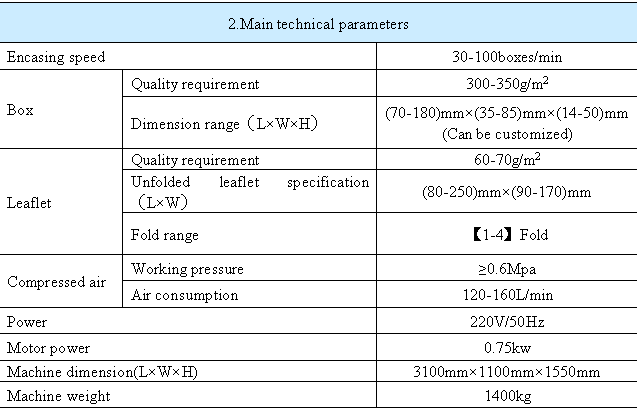 Automatic Cartoner machine is suitable for sachet. The machine finished running by a series of photo-electro controller to make the machine stability and guarantee the packing quality. It includes 1to 4folds leaflet automatic folding, cantons in suction and open, products and leaflet put into, printing batch number, sealing or option hot-glue device. The machine can be single used or linked with Filling Machine, Blister Packing Machine, Shrink Machine, Three Dimensional Packaging Machine to form a production chain. 1) International famous brand of electrical component such as PLC touch screen, frequency inverters, etc. 2) Adopt human-machine operation system. 3) Automatically displaying device for trouble, speed and finished products counting. 4) Machine running without pressing if no products or incorrect position of products. And stopping automatically if incorrect position of product into carton after return or no cartons or out of leaflets continuous. 5) No products not suction leaflet, no leaflet not suction carton . 6) Automatic detection and rejection device for lacking blister goods and leaflets. 7) Protecting automatically for overloading. 8) stable performance , operation is easy. Looking for ideal Horizontal Cartoning Machine Manufacturer & supplier ? We have a wide selection at great prices to help you get creative. 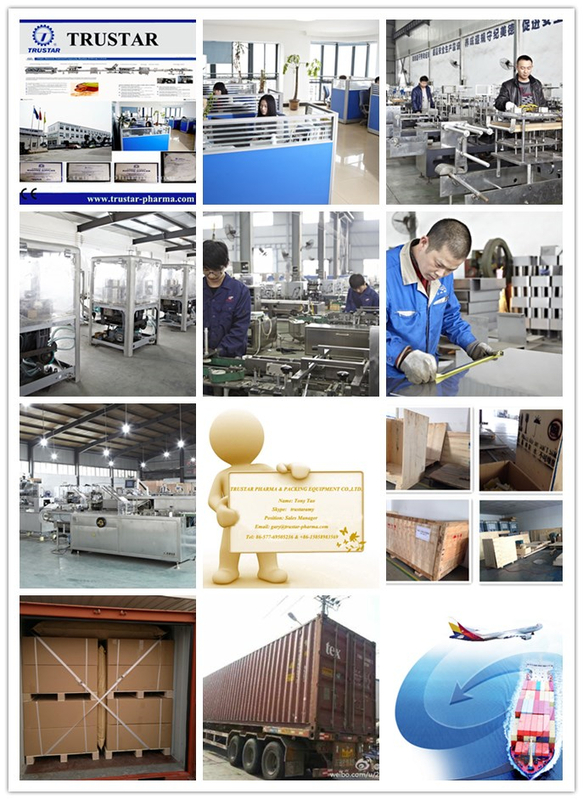 All the Syringe Cartoning Machine are quality guaranteed. 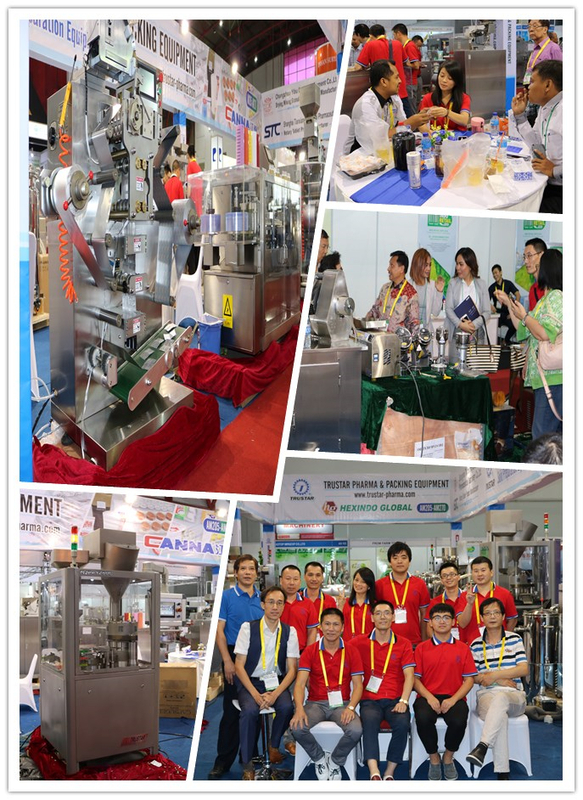 We are China Origin Factory of Automatic Syringe Cartoning Machines. If you have any question, please feel free to contact us.